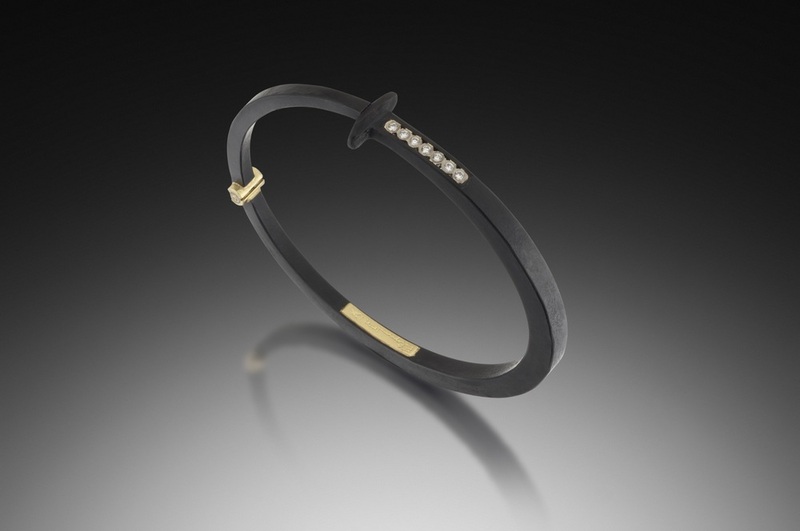 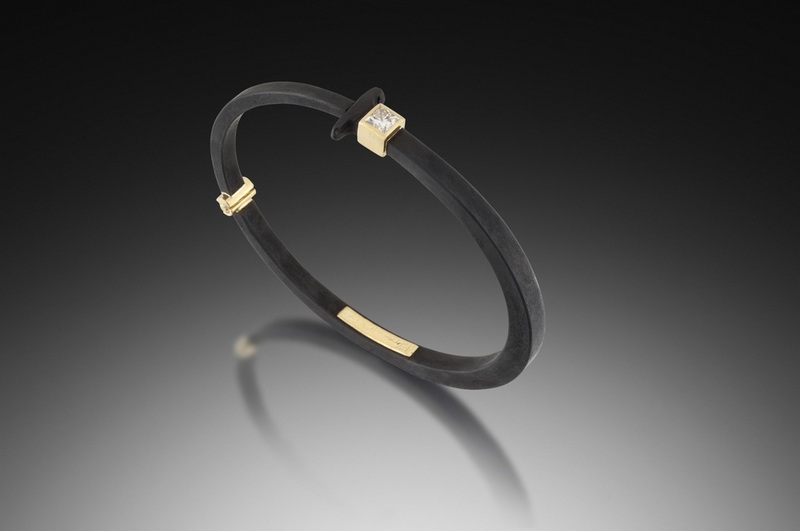 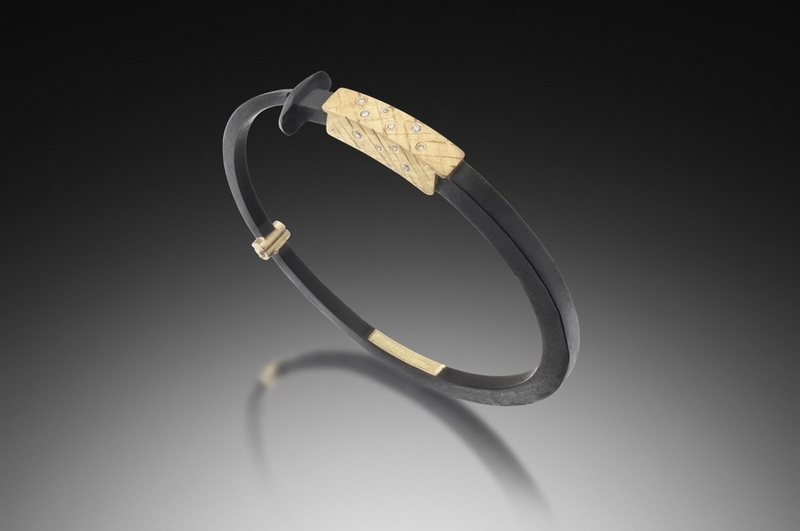 Pat Flynn's iconic nail bracelets contrast the elegance of diamonds, and fused 22 karat yellow gold against textural, blackened steel. 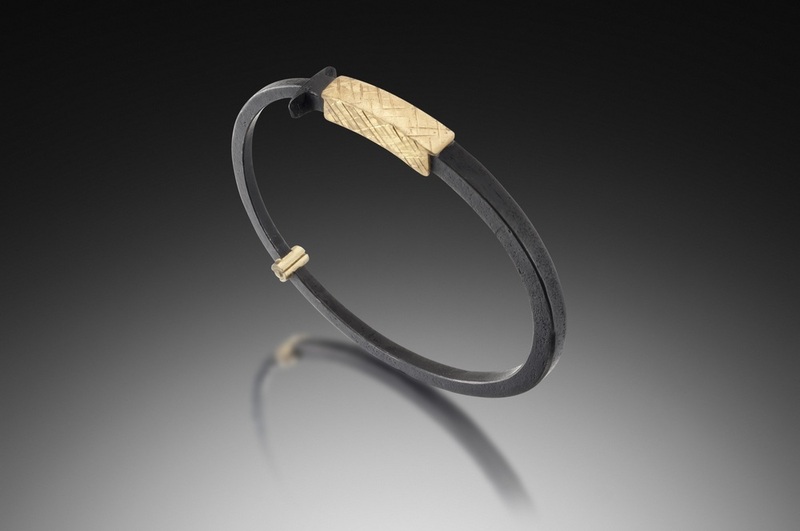 Each bracelet is hand forged by Pat Flynn from cut nails. 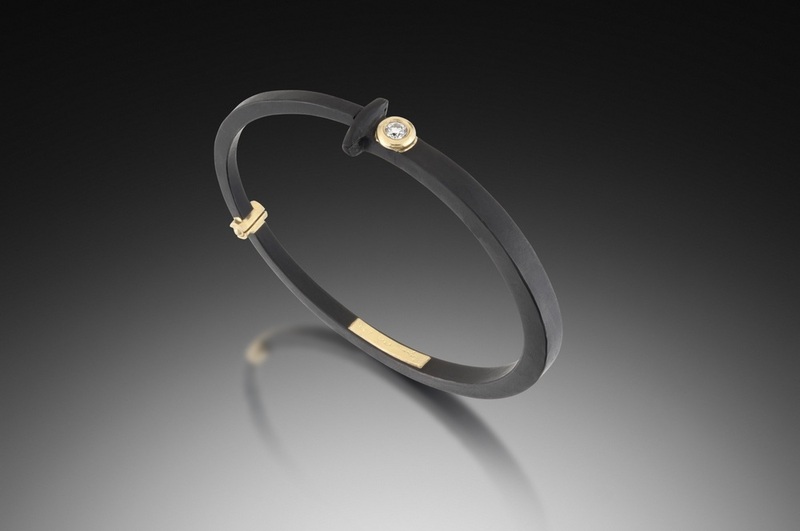 An 18 karat yellow gold hinge and ball catch adds an unexpected closure, and ease of access for the wearer. 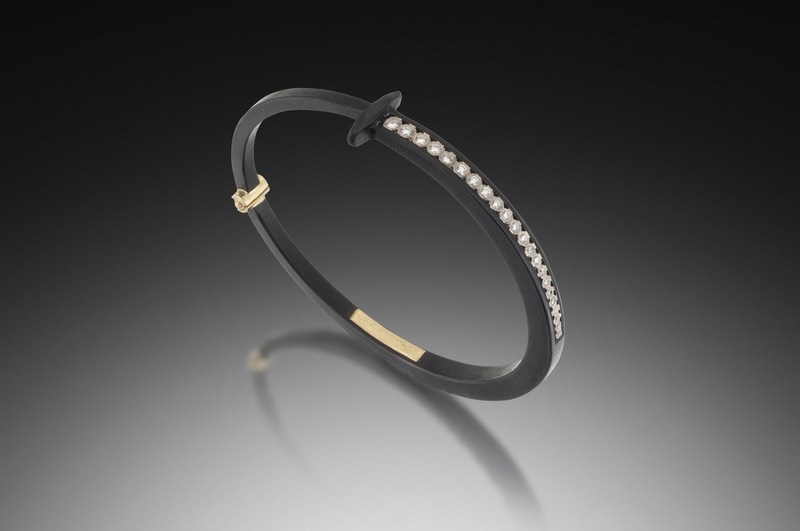 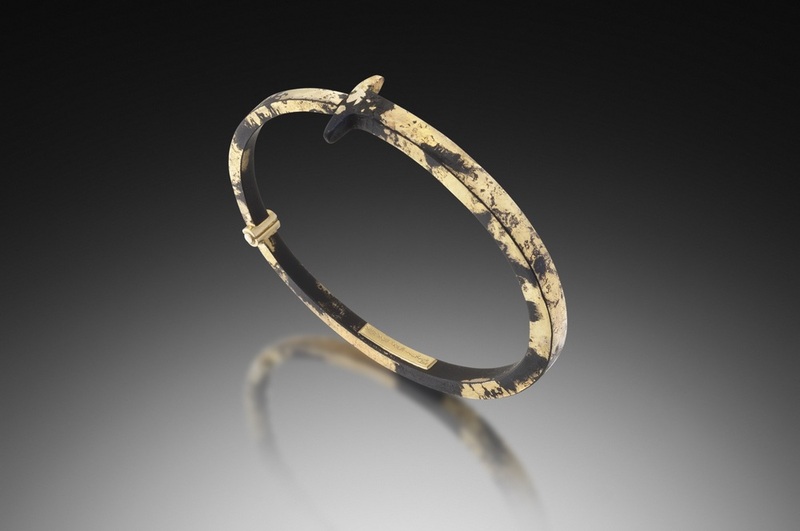 Pat Flynn nail bracelets are sophisticated everyday jewelry, that can be stacked to create a signature look, or worn individually as a bold statement piece.